It's my normal skin care routine to put on mask at least twice a week. I found it quite time consuming to wait for minimum 20 to 30 minutes especially when there's loads of assignments and exams. I don't even have that patience to wait. But then, I am totally in love with Japan Gals VC + nanoC mask as it just costs me 5 to 10 minutes per treatment. Japan Gals VC + nanoC mask comes with 30 pieces per box (which mean a box per month if you applying it daily ) and it costs only RM65 (available at selected Guardian stores only). 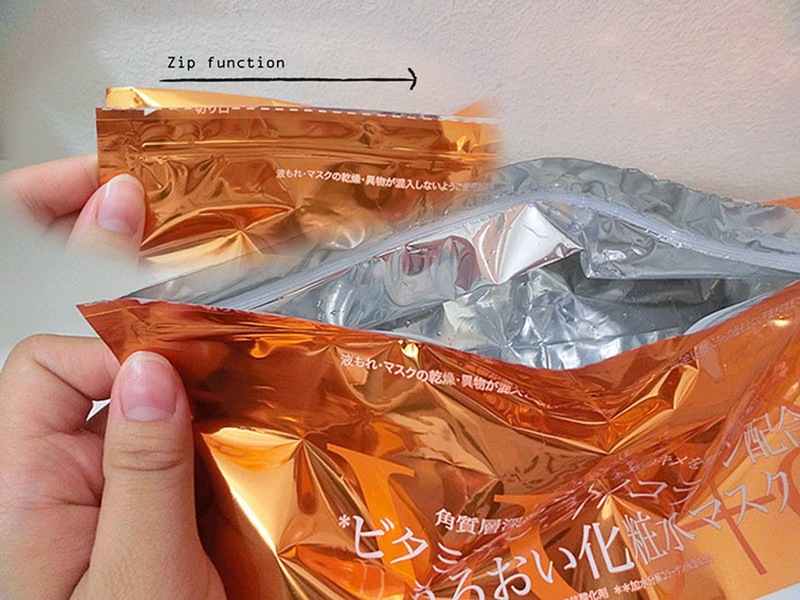 To prevent the mask from contaminated and liquid leakage, the pack comes with a zip and lock function. The size of VC + nanoC mask is much larger than the usual mask for perfect coverage purposes and excellent-fit on everyone's faces. It also has double eye treatment to treat and comfort our eyes after working for the whole day, giving our eyes a perfect break. Besides, it is perfect fit for nose and wide enough to cover are around the mouth, so no worries if you have larger mouth shape LOL. 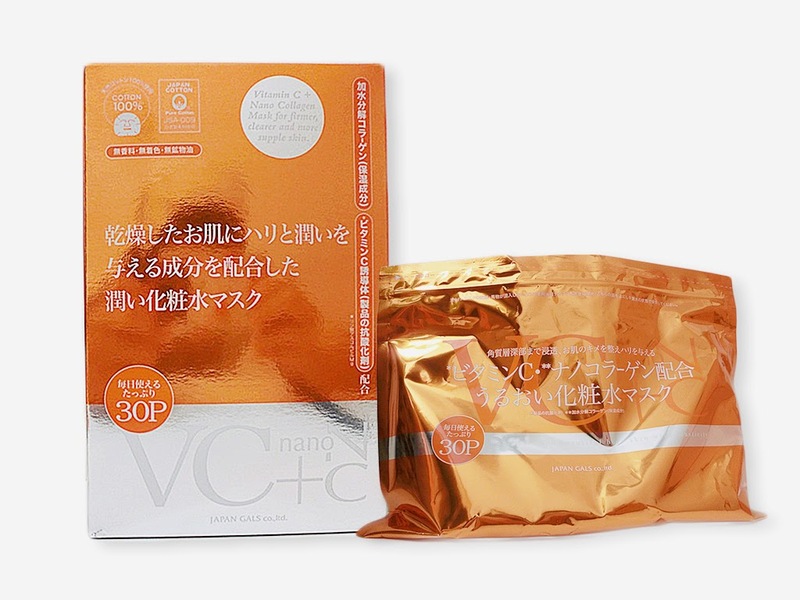 VC + nanoC mask is a 100% pure organic cotton mask from Japan which consists of Vitamin C derivative* (*Magnesium ascorbyl phosphate) with antioxidant properties and hydrolyzed collagen with moisturizing ingredients, which can give us a firmer, supple and clearer skin. 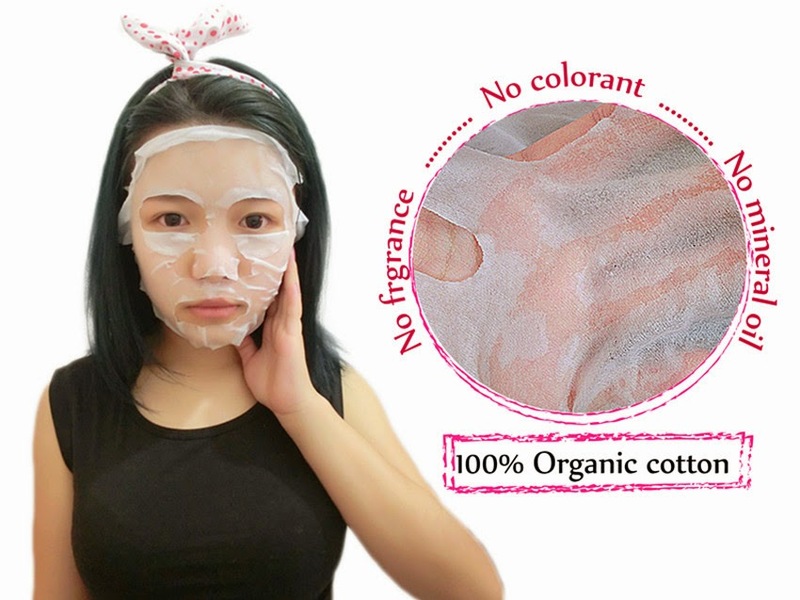 Besides, it's important that the mask consists ZERO fragrance, ZERO colorant and ZERO mineral oil. 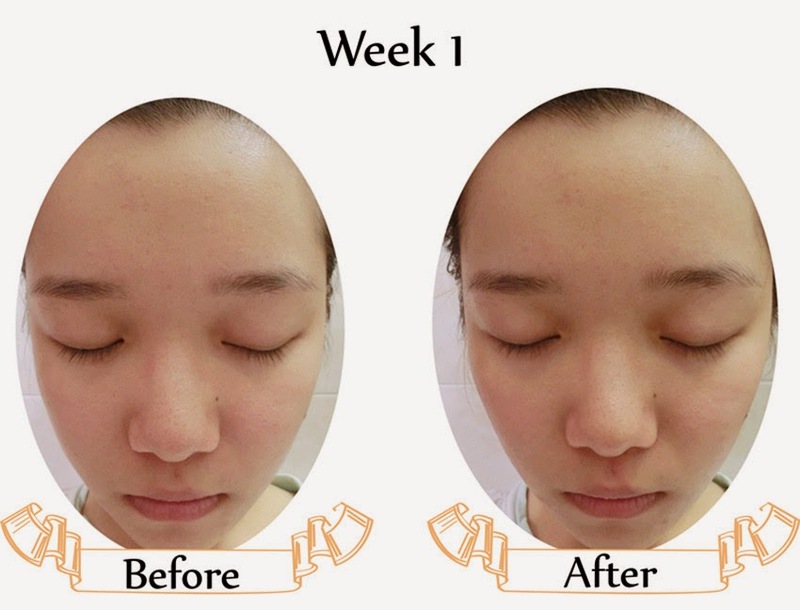 Apply on cleansed face for 5 to 10 minutes per day for more efficient result and with either double eye treatment or not. After the treatment, you may continue with your normal daily skincare steps. I have really dry skin as you can seen from the picture above as I put on make up quite often. So, I have uneven skin tone and some redness on the nose/cheek. Besides, you can see that the surface of my skin is kinda rough and the pores are huge. 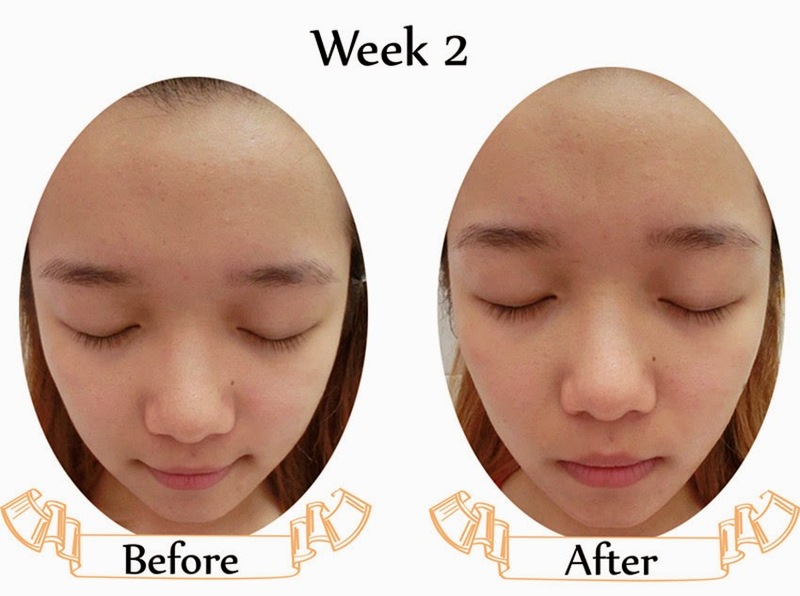 In week 2, my face condition is getting better with less redness and firmer. In week 4, the result is obvious. 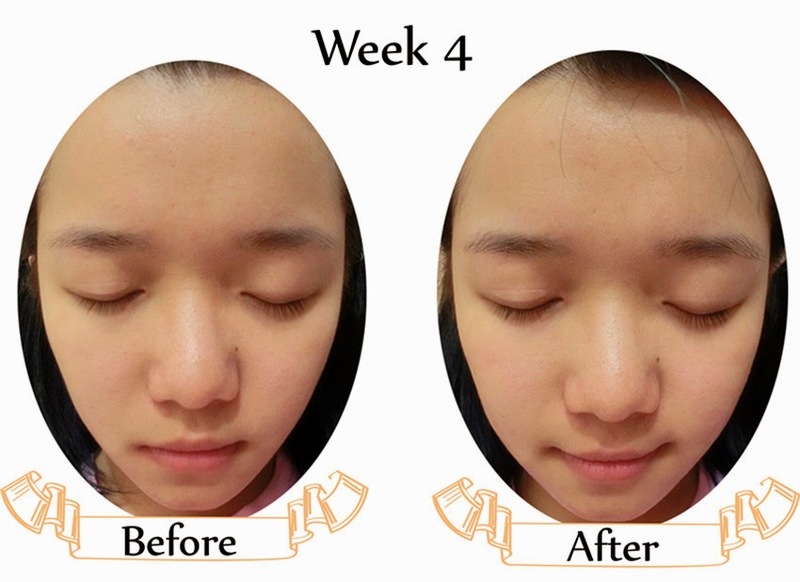 There's no more redness on both cheek/nose and my pores are not that obvious compare to week 1. My skin has become firmer as you can seen from the shape of my face and more hydrated.